Hire a face painter for your next party and your guests will have more than smiles on their faces – they will have glitter, sparkles and multicolored designs. We’ve found the best services that offer face painting in Maryland. KidsParties.Party is a helpful guide also features face painters for hire in MD who will transform your guests into princesses, animals and much more. Face Painting by Melissa is a well-liked face painting place in MD. In-fact Melissa is among the famous face painters of the state. Melissa uses professional quality, non-toxic, cosmetic grade paints and special designs on every kind of skin. She offers hand painted designs and showcases several subjects that you may choose to be painted. People that want to get their face painted may go here. In-fact you may go here to get your face painted for any special event or program as she is one of the best. 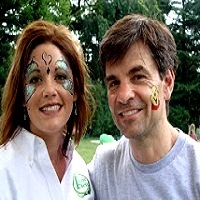 Jolie Faces is a family owned business and a famous face painting company in Maryland. They offer professional face painting, balloon twisting, glitter tattoos and many more services for their customers. The company even provides quality services to their clients. They paint on every kind of skin. In-fact the company offers several of the finest subjects that you will love to get painted on your face. People of MD that love face painting may go here, even for family festivals, events or any kind of especial programs you may get your face painted here. 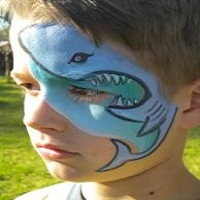 Big Grins Face Painting is among the biggest face painting companies of MD. They offer quality face painters and the finest subjects to paint on your face. To transform your face into a tiger, princess, kitty cat even into many more desirable subjects, the company is really awesome. You can also hire them for any event or occasion to paint your face. People that love to paint their faces for any occasion or event may go here. To know more people may also visit their webpage. Amid the face painting companies in Maryland, Fun Faces DC is a unique one. They offer some unique paintings and several fun paintings to put on your face. To enjoy any occasion or showcase a festive look on your face Fun Faces is really awesome. They provide experienced, well trained and high profile artists to paint on your face. In-fact they can paint on every kind of skin. If you love to enjoy face painting and love fun you may contact them. You may visit their webpage to know more about the company. Face painting is a wonderful art and Creative Occasions will provide you the best face painters to paint your face. Creative Occasions is in-fact one of the best face painting companies of MD. People that love to get their faces painted for any special occasion and like to bring smiles to their guests' faces may call them. In-fact they offer body painting, balloon twisting, temporary tattoos, karaoke and much more. People that love to get the best fun even in occasions may hire them. Face Painting is fun for all and the best entertainment for any occasion. People love to paint their faces especially to celebrate events like birthdays, reunions, Halloween parties and many other occasions. Merry Faces is one of the best face painting organizations of MD. They use the best quality elements to paint your face with. In-fact they use FDA approved paints that you can easily wash with mild soap and water. 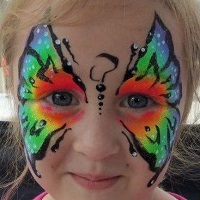 This is one of the best face painting companies of MD. People may visit their webpage to see examples of their work. The Peppermint Pony is one of the finest face painting companies of MD. People that love to paint faces especially for the kids Peppermint Pony is really awesome. The company offers the best face painting to celebrate any enjoyable occasion or event. For birthday parties, reunions and for several other occasions they ensure attractive paints to create smiles on the guests faces. 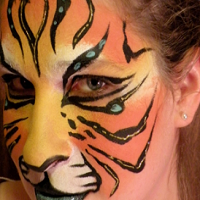 They provide quality painters and some amazing subjects that you may paint on your face. To paint the best art on your face and bodies Jazzadore Creations is the best. Jazzadore offers amazing paint for every kind of skin. People that love to paint on their faces or need a painter to celebrate any occasion may contact Jazzadore. Butterflies, dragons, animals and many more different subjects are there that the guests may choose to get painted on their faces. In-fact they ensure the best quality paint that you will love to see on your guests' faces. Check out this Maryland face painter now! The Pirate Girl Painter is one of the best face painters of MD. To paint on faces for any occasion, especially for pirate paintings the painter is just amazing. People that love unique paintings on their faces for several occasions or love to showcase a funny and horrible look may try pirate paintings. Especially for children it will be great fun to paint pirates on their faces. To know more you may visit the official webpage of the painter. Fiesta Time & Amusements is a finest face painting organization of MD. Fiesta Time is a family owned business that offers a party house to celebrate occasions. They offer quality face painting with low costs. 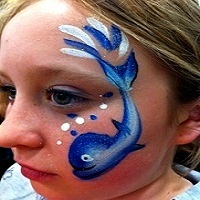 The company even provides the best and most experienced face painters to paint your face. 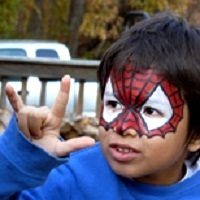 They are specialized in face painting for birthday parties, backyard parties and for much more. You may contact them or visit their website to know more details about the company and to know about their pricing. Christine Cots is a professional face painter of MD. 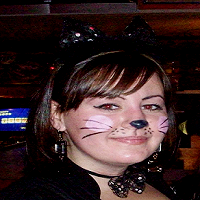 Christine offers face painting, body painting and much more to create an extra attraction for parties or events. If you are looking for the best artist to paint your face you may contact Christine. 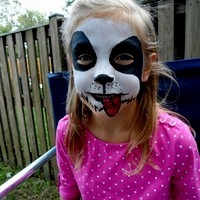 In-fact MD face painting is a great way to enhance your special event. Christine even loves to face paint for outdoor events, birthday parties and for any other special occasion. You may contact Christine to discuss costing or packages or you can visit the webpage for more details. People that love to paint their face especially for occasions or specific events, Designs by Jenn is just an amazing experience for all. Especially for birthday parties, events and even to bring the best smile to your child's face Jenn is just awesome. She offers quality designs that you may choose for face paintings. For any outdoor event or for special occasions Jenn's design is now a well-liked topic for the people of MD. 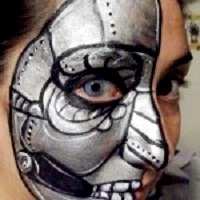 You can visit the webpage to get a detailed idea about Jenn's face painting in Maryland. Charm City Face Painting in Maryland offers charming subjects to paint on your face. Especially to bring smiles to kids' faces Charm City is the best. If you are looking for exciting topics to paint on your face than Charm City is a welcoming place for you. At Charm City you will find amazing topics to choose from to get painted on your face. In-fact they use FDA approved face painting elements like- Diamond FX, Wolfe Brothers to paint on faces. You may visit their webpage to know more about them. 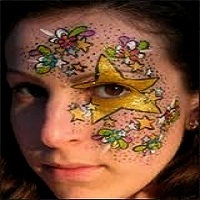 Charming Faces is one of the most famous face painting companies of MD. They offer party faces, prince's face; tiger face and many more exciting face paintings to their clients. People that love to paint their face for parties or events and love to do charming things to their faces, the company is the best option for them. They showcase charming and funny topics to paint on faces. In-fact they use FDA approved highest professional quality cosmetic grade for face painting.